See Every Second Of Your Swing In Real Time! LiveView Golf has made great strides to provide golfers of all levels with game-changing insight through the LiveView+Plus camera and Digital Swing Mirror app. Now these innovators are taking the technology of self-observation one step further. Introducing the LiveView AR headset. Anyone who has experienced LiveView Golf knows how informative the technology is. The wireless LiveView+Plus camera easily snaps onto an alignment rod, so the device can be placed anywhere to capture any angle of your swing. 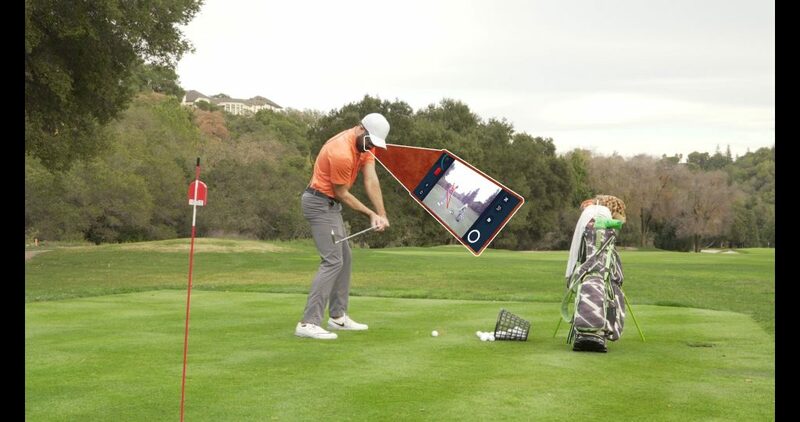 The camera then connects wirelessly to the Digital Swing Mirror app on your smartphone or tablet. The app displays live, mirror image video of your swing, enabling you to recognize mistakes as you make them and ensure proper correction. Now, with the new AR headset, LiveView offers a truly seamless practice experience. The headset displays video image right before the user’s eyes, so golfers can see every move without compromising their posture to look at a screen. The LiveView AR headset takes the form of an athletic-style sunglass frame with an attached micro-display. The LiveView AR headset connects to your HDMI-compatible smartphone. This includes all iPhones and Samsung S7-S9 smartphones. The Digital Swing Mirror app on your smartphone conveys video image to the LiveView AR headset. The headset then displays live video of your swing on a simulated, 4” screen 12 inches from your eye. You won’t miss a second of your swing. No matter how you turn your head, you’ll always have live video right before your eyes . . . which means you can correct errors in an instant. LiveView’s state-of-the-art AR headset is lightweight and specially designed to stay in place through rigorous activity, ensuring that this technology integrates smoothly into any golfer’s practice. There is no interruption and no distraction. Only the remarkable opportunity to observe oneself with the eyes of a golf coach. 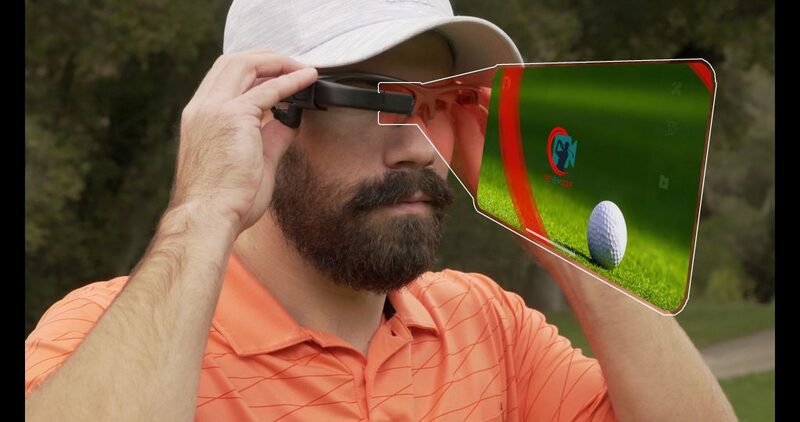 To learn more about LiveView Golf and the new LiveView AR headset, be sure to visit the LiveView booth (#1174) at the 2019 PGA Merchandise Show. LiveView is back this year with a bigger booth, some the most revered coaches in golf, and groundbreaking new innovations, including the LiveView AR headset.